(NaturalNews) When assessing the most healing foods on the planet, it is very difficult to compile a list that doesn't contain algae. 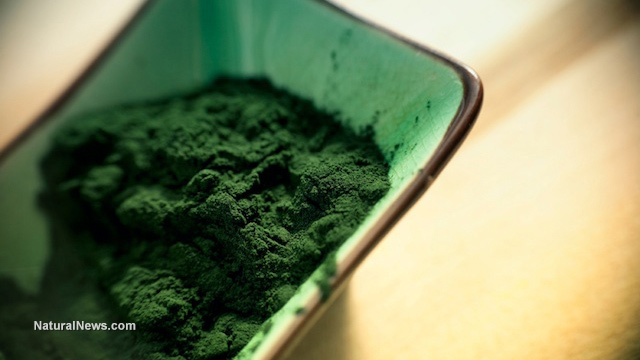 Health nuts have admired this dark green super food for quite some time, due to its comprehensive benefits to the human body. So what is it specifically about algae that makes it an important food to help solve your health problems? Turns out, there are two reasons. One of the two reasons people become sick is due to nutrient deficiency. A serious shortage of one or two nutrients can create fundamental problems that result in serious pain, discomfort, and lowered quality of life. Unfortunately, regular consumption of the conventional food supply makes these symptoms inevitable, due to nutrients being stripped at every stage from seed to plate. Rich in vitamins A, C, E, K, and B-complex including B12 and B6. Also one of the few whole food sources of vitamin D.
Rich in natural minerals like calcium, magnesium, iron, zinc, phosphorus, potassium, as well as many trace minerals. Contains essential fatty acids (EFA's) including gamma linolenic acid (GLA). A rich source (up to 70%) of highly digestible, complete vegetarian protein. With such a phenomenal nutrient line up, you can be assured that ingesting clean algae on a regular basis can provide you with enough nutrition to alleviate and eliminate many of your health problems, IF you take care of the other side of the equation as well. The second reason people become chronically ill is due to toxic build up. Even though the body is designed to handle these unwelcome visitors, our consistent introduction of toxins to our body has overwhelmed it to the point that it can no longer detoxify itself efficiently. When this occurs, toxic build up accumulates and adversely affects the health of our cells, which results in accelerated ageing and disease. Detox the body from biotoxins such as tuberculosis, lyme disease, tetanus toxins, mold, phytates, dioxins, pesticides, and industrial waste. Binds and helps eliminate heavy metals like mercury, lead, nickel, and aluminum. Promotes production of healthy flora, bacteria, and probiotics, which results in an effective digestive system that creates a clean and toxic free intestinal system. Promotes a properly functioning immune system, which rids the body of all kinds of pathogens, and helps fight cancer (a symptom of toxic overload). So in essence, algae help solve the two fundamental problems with anyone suffering from a health problem, namely nutrient deficiency and toxic overload. Anyone who has tasted algae knows the taste is not the most palatable. However, a little goes a long way and it can easily be worked into a smoothie. To make a simple, yet nutrient dense, superfood smoothie that contains algae, consider trying this delicious Chocolate Avocado Crunch Smoothie Recipe. Also, check out this recipe for a Homemade Nutrition Powder.